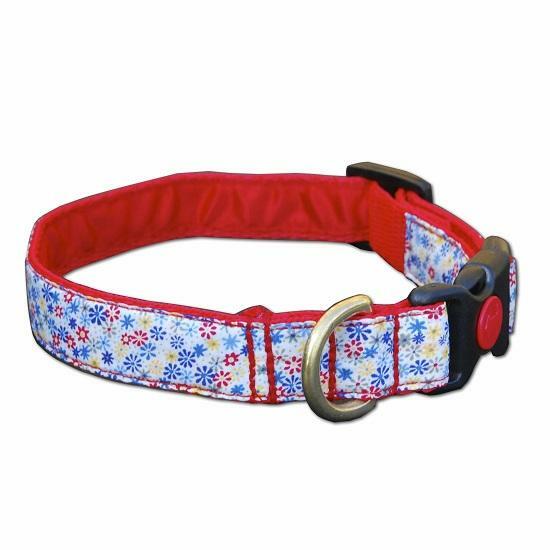 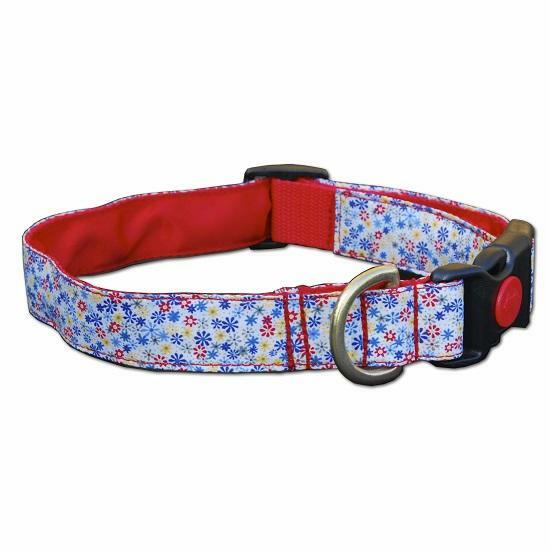 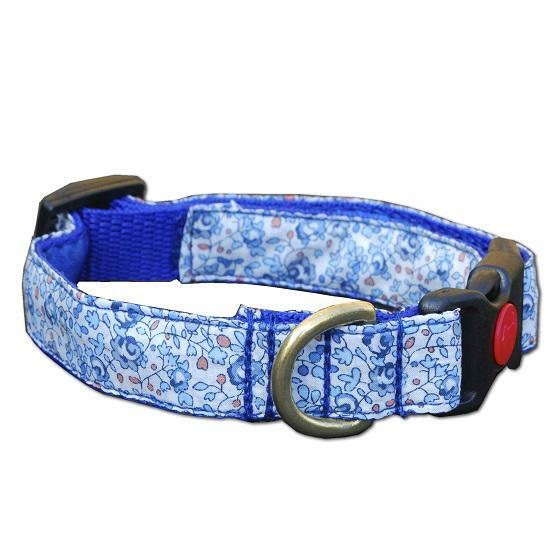 Our luxury dog collars are handmade in Bristol using genuine Liberty print 100% cotton fabric, lined with luxurious satin and have solid brass D rings. 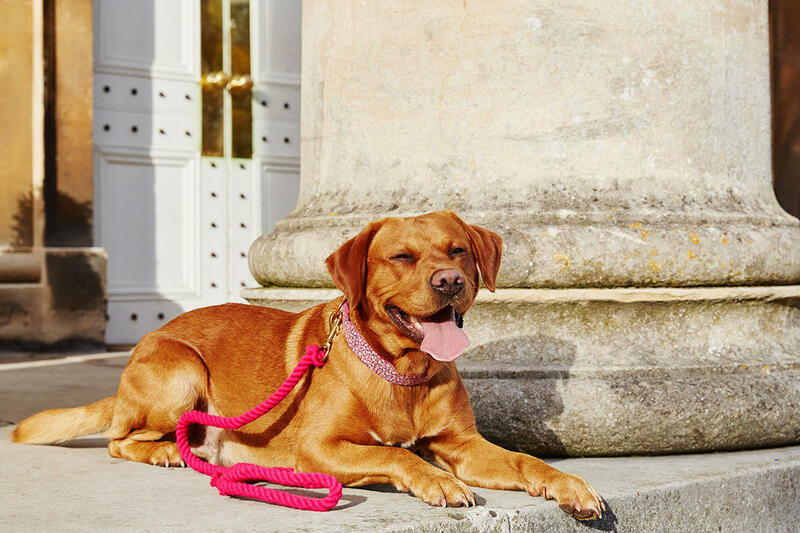 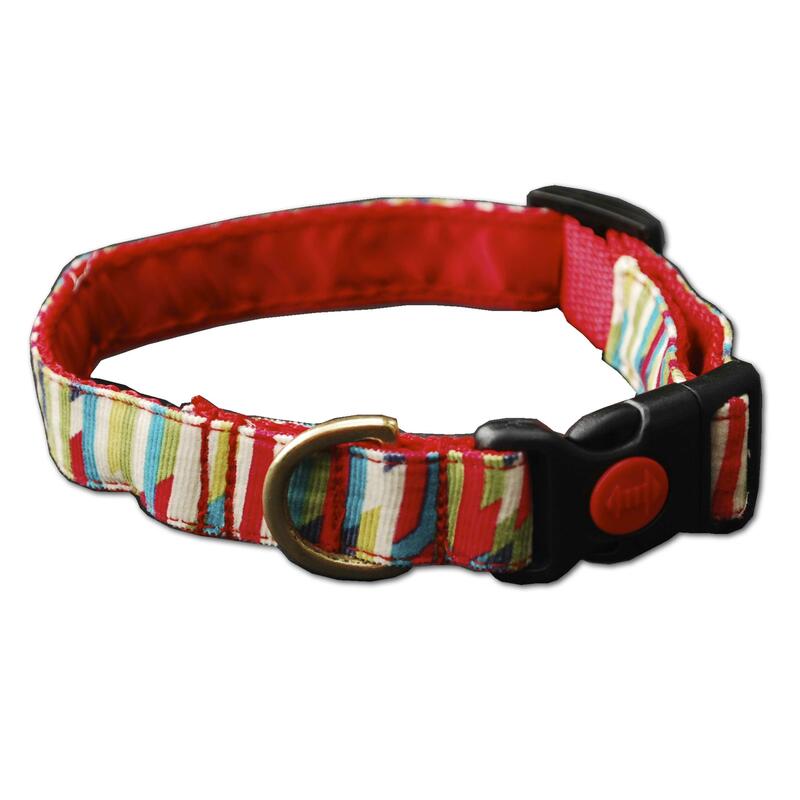 Our standard dog collars have a lockable clip fastening for extra safety and peace of mind when walking your dog. 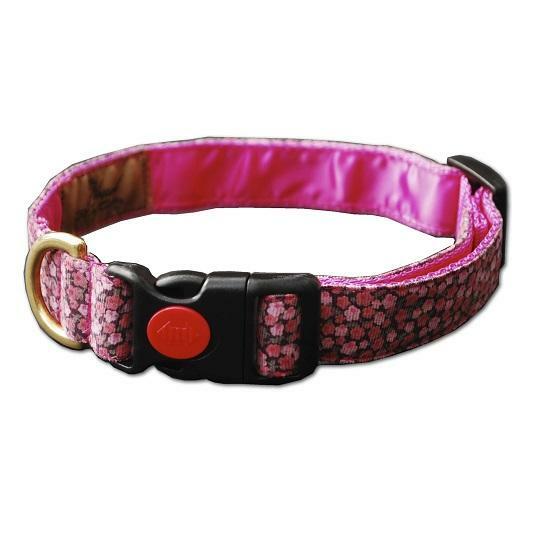 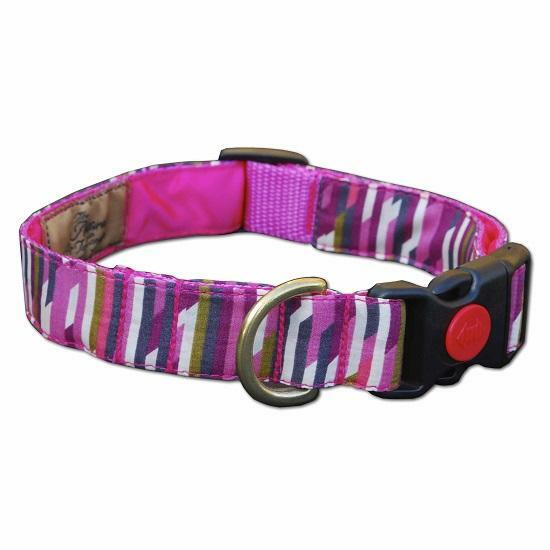 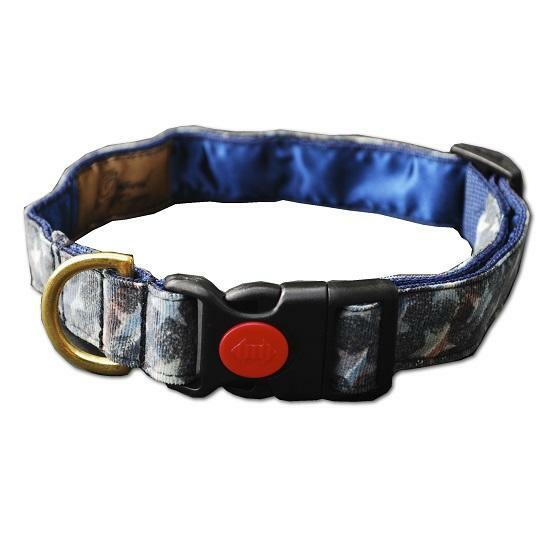 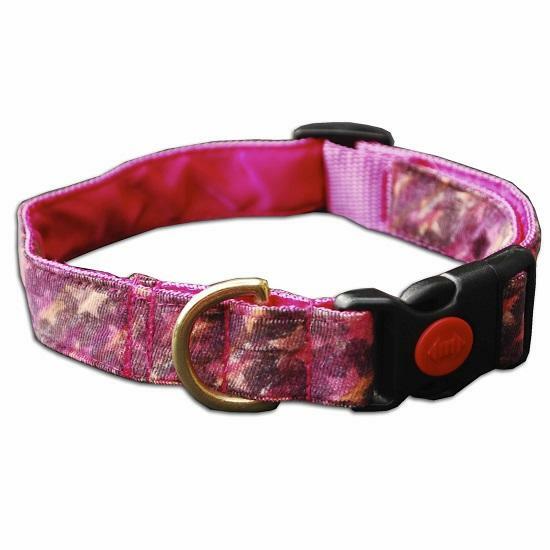 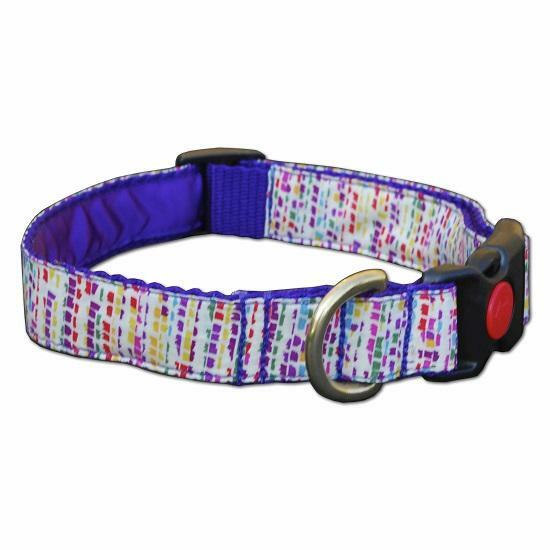 This collar can be adjusted with the slide fitting to fit comfortably around your dog's neck. 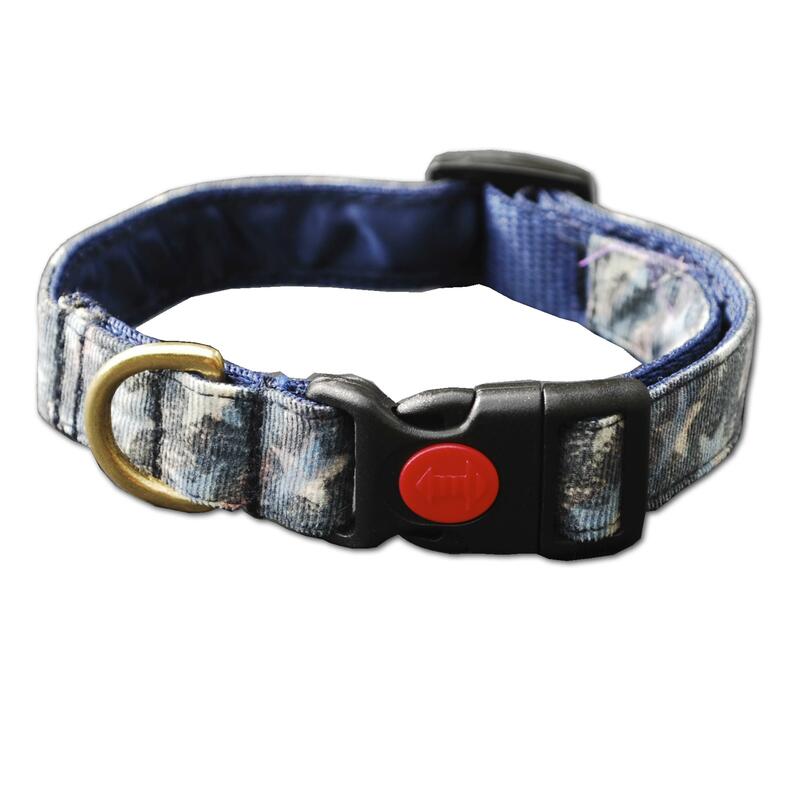 Our standard collars are made with a lockable clip, rather than a buckle, for a more comfortable fit, safety and ease of use. 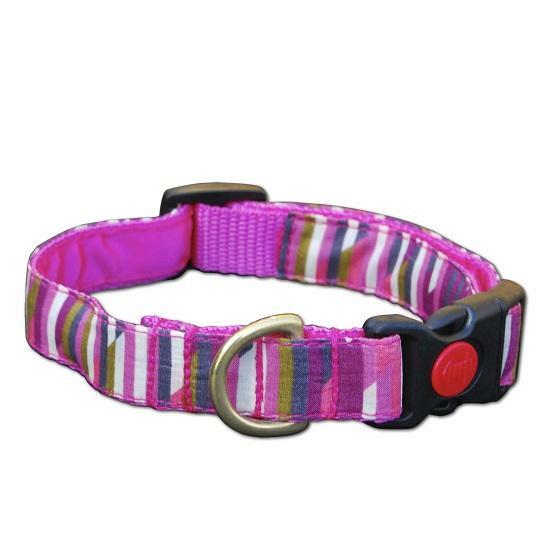 Our collars are easy to clean and can be washed by hand in a mild detergent and left to dry naturally. 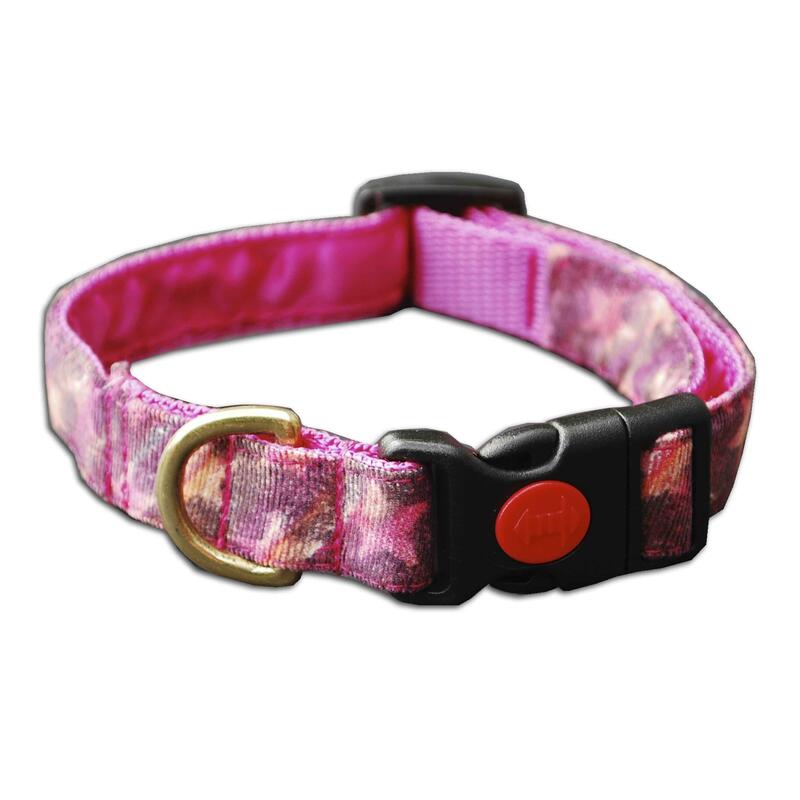 All our standard collars have a solid brass D ring for attaching a lead if required. 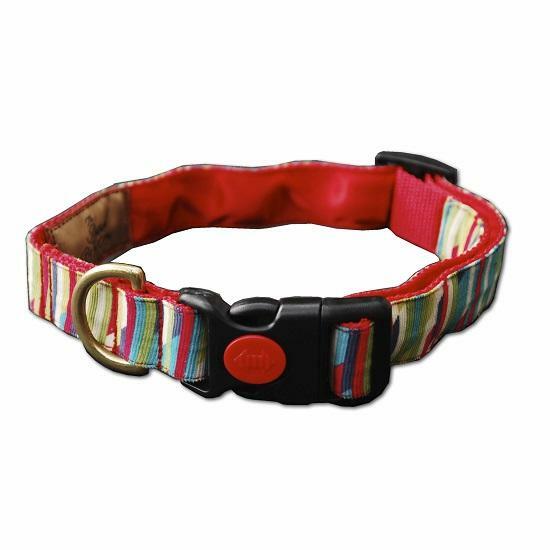 To decide on the standard collar size that your dog requires take a flexible tape measure and place it around your dogs neck. 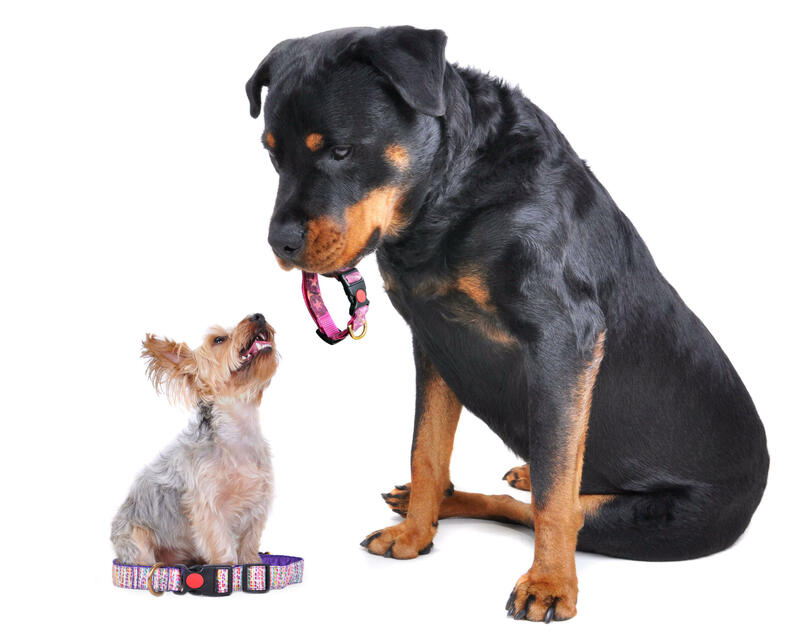 If your dog is between sizes then it is best to go up a size. 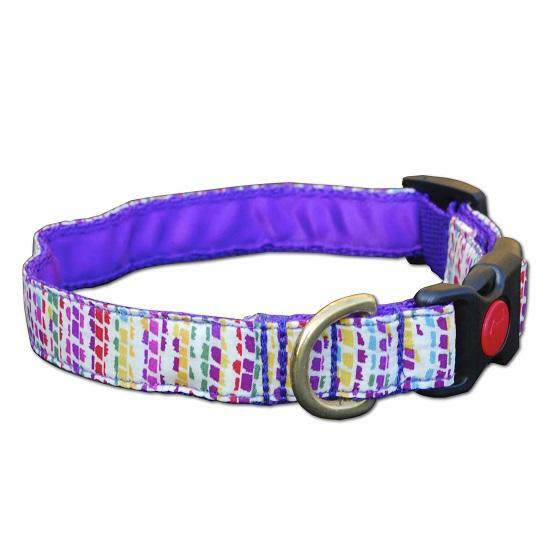 Make sure that you always allow a few inches for adjustment. 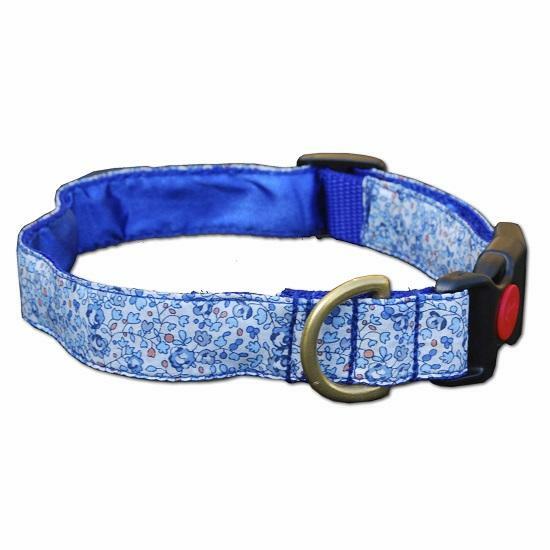 The small size fits most dogs including most terriers. 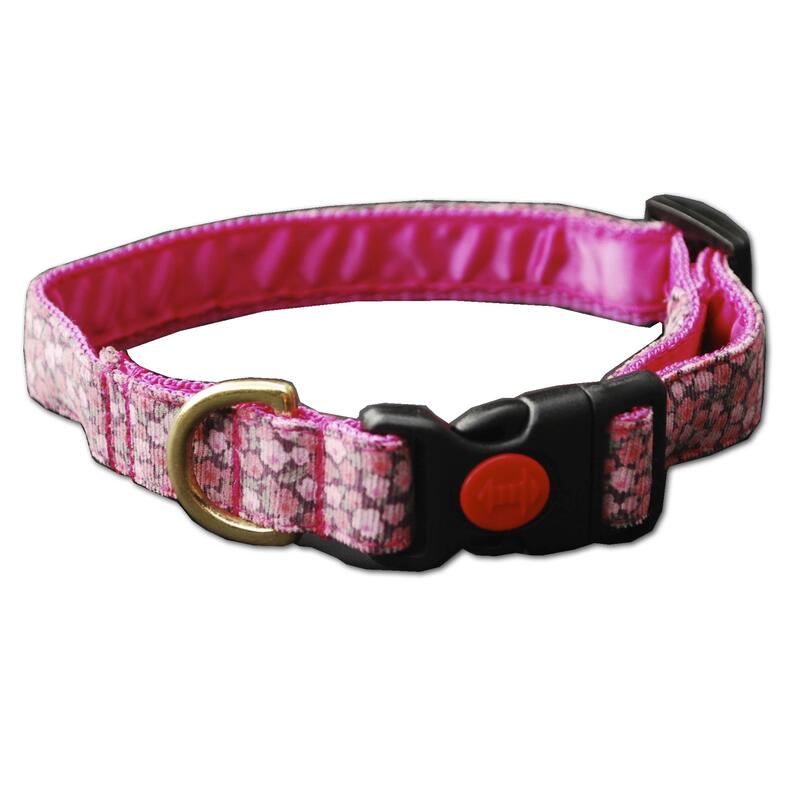 The medium fits most Labradors, Dalmatians, Collies, Setters, German Shepherds and other medium to large dogs.